Explore the nature of our publications [HERE] for context of the bellow opportunity. Contact me if you are interested in supporting the distribution of the Sojournal. The outlet’s are eager to receive stock, as their clients ask them to do so every year. To meet the demand the Sojournal requires capital, which could be distributed through an already secure channel, with a target market in alignment with the publication. The orders have maintained a baseline of 1000 copies annually, with a sure steady increase as long as stock is available. I have maintained the above mentioned 1000 units annually from direct sales built through 17 years of client relationships. In my personal capacity, I have managed to print these amounts, till 2015, when it became clear that this is not sustainable enough to continue in such a manner. The last two years were not available as hard copies for this reason. This year, I have established contact with ‘print on demand’ companies, in order to offer the option for those people very eager to hold their treasured companion in their hand again. A capital investment will need to be substantial enough to print over 3000 copies early in the year, with time to distribute to our well researched target market, where it will build it’s own momentum. The returns on this quantity will be enough to sustain ongoing production and allow the added value of our online applications to reach people Globally. I have sent stock to a wide variety of countries through the years, which so far has just been a taste of the potential International market. I have kept this gem of a ‘gold mine’ close to home for long enough, so if you have what it takes to spread the magic of the Sojournal, I await your call! The Sojournal needs to reach more people who desperately seek the guidance within, to maintain their connection to their Soul path. 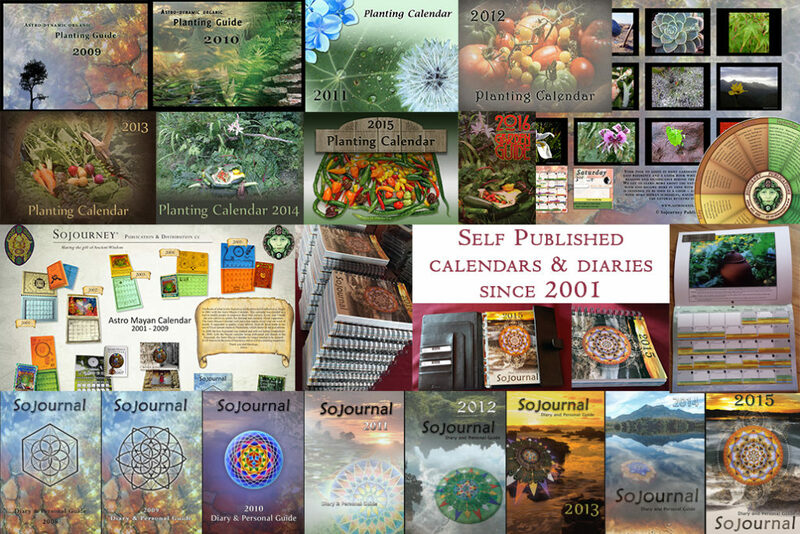 The Sojournal has evidently become a beloved companion that provides inner strength and purpose, inspiring and nurturing our journey through each year, enabling us to step into our power and make that difference.